The current scandals in the Church provoked legitimate concern. When wrongdoing exists, it needs to be addressed quickly and justly. The problem is different people have different ideas on what is quick and just. When something is proposed that doesn’t meet their ideas, the assumption is that “nothing is being done.” The thing to remember is, the Church has things that cannot change. If we want reform that goes against the nature of the Church, that “reform” will not happen. We cannot demand the Church betray what she is in order to meet our demands. Throughout history we see the difference between real and false reform. The true reform works with submission to those tasked with shepherding the Church. The great reforming saints dealt with corruption in the Church while submitting to the judgment of the Pope and bishops. On the other hand, movements like the Lollards dealt with corruption by treating the Pope and bishops as adversaries that must be opposed. They ended up by attacking the teachings of the Church that stood in their way. If a bishop said their demands were not compatible with the teachings of the Church, the bishops were considered to be enemies of reform. 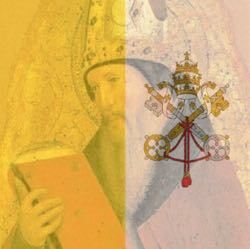 The question we need to ask, when faced with things we dislike in the Church, is whether we will accept the authority of the Pope and bishops when they make a decision as shepherd of the entire Church or diocese. Yes, canon 212 does say we have the right or duty make known our concerns (“with reverence towards their pastors,” which few seem to notice). But that doesn’t mean what we want is fully compatible with Church teaching. If we want something that violates Church teaching, the Pope or bishop must refuse that request. Unfortunately, instead of assessing their demands, these factions tend to accuse the Church of stonewalling or “business as usual” or “good old boys club.” They certainly run the risk of falling into thinking these Church teachings are obstacles to good. History shows that movements like these turn into heresy (demanding a rejection of these underlying teachings) or schism (rejecting the authority of the teachers). I don’t say this to advocate clericalism. I don’t say this to advocate “business as usual.” Instead, I say this because any true reform must work with the shepherds of the Church. A proper reform must identify where the problem lies and what sort of correction is compatible with the teaching of the Church. For example: The Lollards under Wycliffe thought that the problem of corruption among the clergy was the rejection of the clergy itself. While I don’t see a Lollard style rejection (yet? ), I do see troubling attitudes. “How can we trust the bishops to police themselves?” is a common charge. The demand follows that any solution must have the laity deciding what must be done—without input from the clergy. I believe that question is a warning sign of error. It is the foundation for a rejection of the clergy justly exercising their authority to determine how to apply Church teaching if that exercise doesn’t go the way the critics want. If one is tempted to think “the whole damn structure is corrupt,” then it’s easy to start thinking that we must remake the whole thing to suit our own beliefs on what it should be. But if those beliefs are wrong, then the attempt at reform will also go wrong. As Catholics, we recognize that the magisterium has the authority to bind and loose (Matthew 16:19, 18:18), interpreting how to apply teaching to a particular age. Any true reform must recognize that authority and submit to it. Yes, there will be corruption in the Church. Yes, it needs to be eliminated. Yes, there will always be disappointing actions we think fall short of what is needed, and No, we shouldn’t just take a fatalistic attitude about that. But we need to recognize that a proper reform cannot exclude the Pope and bishops, and cannot begin with the assumption that all are guilty until proven innocent. A movement that thinks this way is cutting off those who have the authority and responsibility to determine whether a proposed reform is compatible with what Our Lord established the Church to be. That way lies ruin. Yes, we of the laity have the right, and sometimes the duty of making our needs known—but respectfully and giving the proper submission required when they exercise their lawful authority. I think one thing that is getting lost is trust in God and prayer. We should be praying for God to guide the Pope and faithful bishops to seek out a just solution. We should then work with them in getting that needed reform. But if we think we can reject the Pope and bishops as part of the problem, we will not reform the Church.